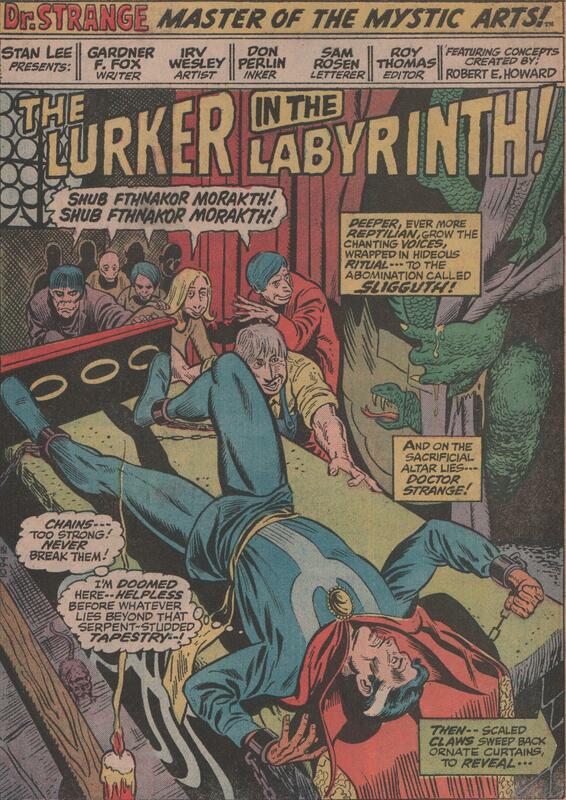 Marvel Premiere #5, 1972 “The Lurker in the Labyrinth” | Magazines and Monsters! 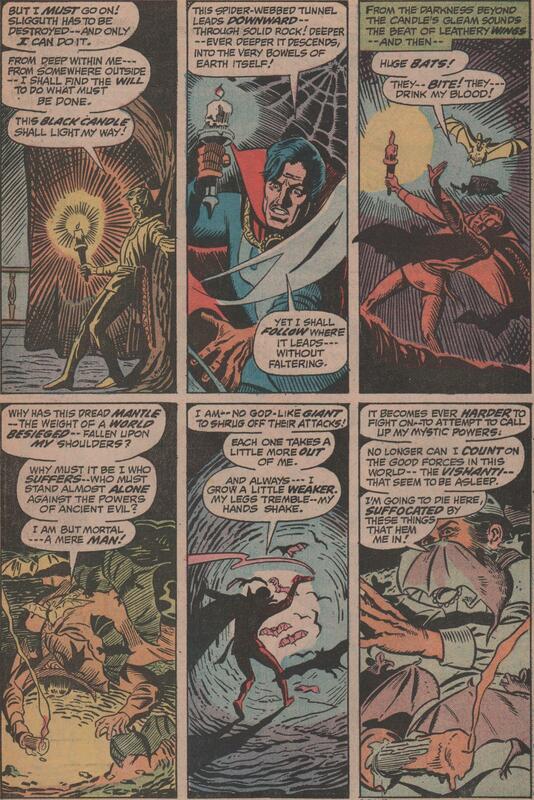 Continuing with more of the Doctor Strange run in Marvel Premiere, this story is a continuation from the last, and shows the Doc fighting for his life against some crazy cult that has people looking like the Sleestak’s from Land of the Lost! 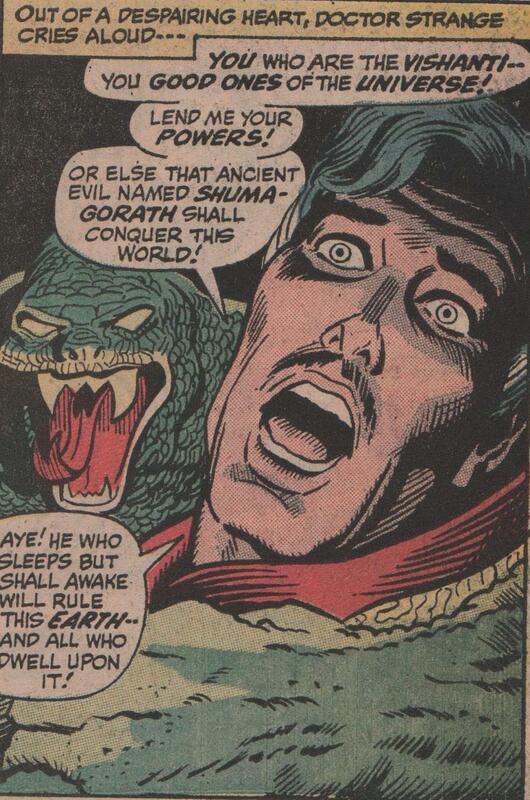 These worshipers of evil also can apparently summon an unseen force to stop people, and even severely weaken the Sorcerer Supreme himself. So, in short, the Doc must overcome a lizard-like entity, his hundreds of hypnotized followers, and restore the town to its peaceful regularity, and oh yeah, all without hurting/killing any of the people who are enthralled! Yeesh! This magnificent story, like the last issue, is loosely based off of a story by the legend himself, Robert E. Howard. The book’s creative team is nothing short of groovy as well! Writer extraordinaire, Gardner Fox, did very little work for Marvel Comics, but his overall contributions to the comic book industry are nothing short of Herculean. 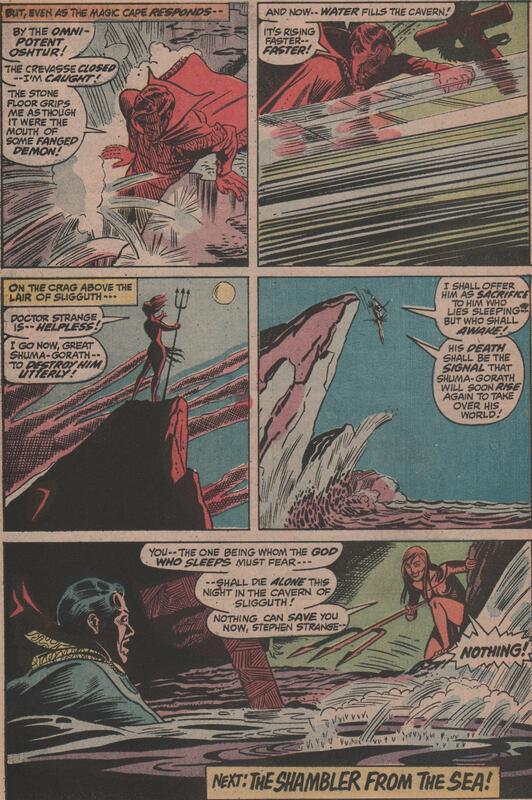 The pencils for this issue are by a man I’m not too familiar with (I’ve seen a couple of pages of his works in reprints of Golden/Silver Age horror/sci-fi stuff), but Irv Wesley (Sam Kweskin) did a fine job. 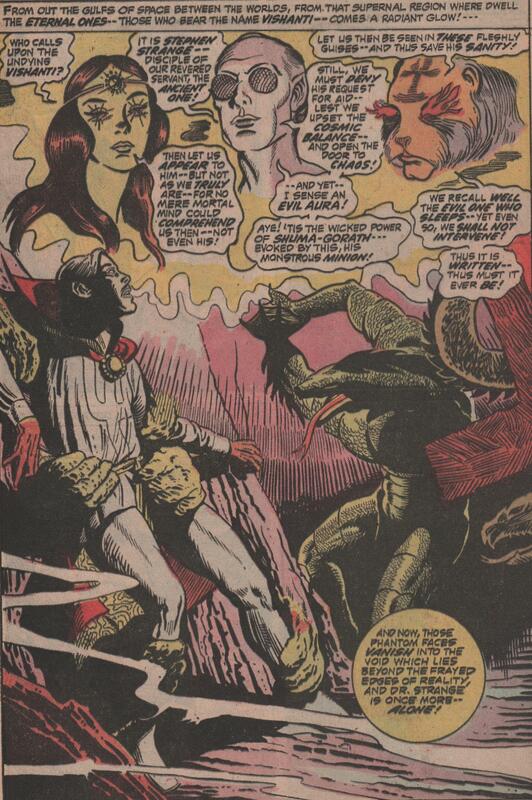 One of the reasons I feel the artwork looks as good as it does, is from the inks of Don Perlin! I’m a big fan of his work, and you should be too! Rounding out the creative team is letter Sam Rosen, and editor Roy Thomas! 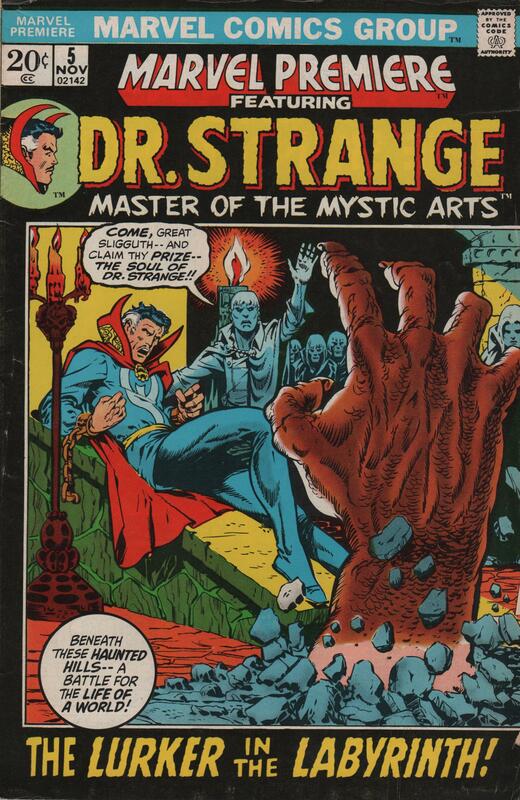 Oh, and let us not forget the unbelievable cover by the one and only Mike Ploog!